Opt for these affordable/free fixes if you don’t want to expend your resources building custom solutions in the New Year. As 2018 draws to an end, one thing is clear - SMB productivity and performance boosting apps are here to stay. And their demand is growing faster than ever. According to a recent study by SMB Group, 92% of SMBs today are using at least one cloud-based app. Tons of new apps are being launched specifically to cater to smaller businesses. From customer relationship management platforms to project management programs to collaboration (if you're looking for Slack Alternatives), apps like PandaDoc, Kajabi or ClickMeeting to name a few, offer flexible, affordable and highly-scalable ways to improve SMB efficiency. But as a small business owner, which one do you choose? Are all of them useful or do you want to choose something that works best for your business? ‘Performance Review’ is a scary word for most employees. But it need not be so. 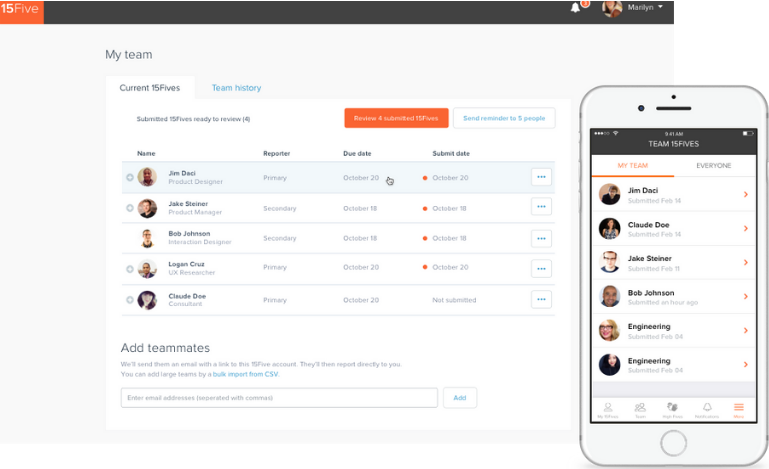 15Five offers you a continuous performance management suite that allows you to coach your employees in real-time. You can say goodbye to managing those detailed spreadsheets and long emails as the app helps you set up objectives, update progress and post comments for the whole team to see. Instead of just grading employees, its ‘360° Best-Self Reviews’ support employees on their journey of career growth. You can even use it to spot those hidden rockstars or boost morale of your team with the High Fives Dashboard. 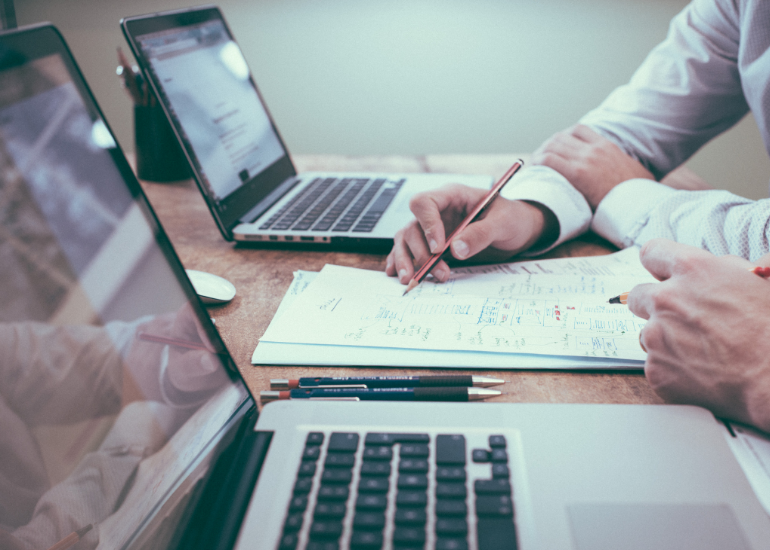 For SMBs looking to improve team performance, it’s a great way to turn feedback into instant action and ultimately increase productivity. Running a small business requires you to be a multitasker focusing on various daily, weekly or monthly tasks. From finance to operations to sales, you have to be on top of it all. Therefore, tracking employee time in a flexible, distributed workforce can be a challenge. Especially if you are an SMB in the professional service domain who bills hours against client accounts, you may need dedicated apps for time management and tracking. 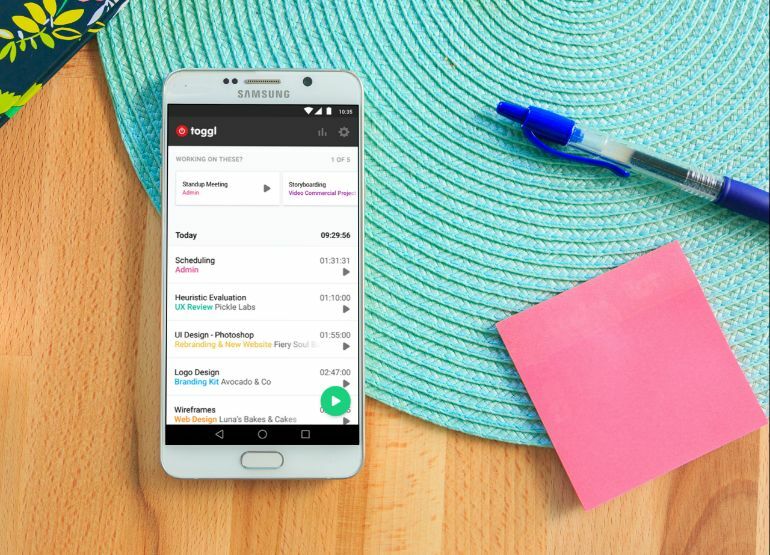 Toggl helps keep track of project time, delivers reports and automates timesheet management. It’s a powerful tool to track remote working hours. And it’s simple to use too. All you need to do is click the ‘start’ button on the Toggl timer and you can start tracking time for any project. Press ‘stop’ when you’re done, and its Project Dashboard gives you a detailed overview of your productivity. It’s simple to use and offers flexible work hours tracking with multi-device support. And you can try it for free. Plus, their mascot is cute too. We all dread those to-do lists, don’t we? Especially if you are a small business owner who wants to manage projects with much more ease, be it at work or home. Wunderlist (now a Microsoft app) allows you to share your lists and collaborate with everyone in your life. As a task management app, it can be used for both personal and professional prioritization. It helps you create all the lists you need and access them from your phone, tablet and computer. You can also offload your workload by sharing lists, collaborating and even assigning tasks to family, friends or colleagues. Often, forgetting something on your to-do list can be frustrating. But with this app, you can set reminders to ensure you never forget important deadlines (and anniversaries) ever again. Checking off those professional and personal to-dos seems more fun now, doesn’t it? Many great tools out there are designed for the modern digital marketer. But what about small business owners who handle everything! Sales, CRM, email marketing, marketing automation - SMBs are struggling with implementing different apps for each of these disciplines. Hatchbuck combines it into an all-in-one sales and marketing automation platform designed specifically for small to mid-sized businesses. From website tracking that shows you who’s visiting which pages of your site, to automatically triggering hot lead alerts to follow-up with prospects who are ready to buy, Hatchbuck is ideal if you are looking to get your sales, marketing and service machine up and running quickly and easily. One thing you can do to escape from a productivity rut is to amp up your team communication and collaboration tools. Juggling multiple projects, tasks, emails and information using tons of different apps can become overwhelming for you and your team. Transitioning to the cloud not only enables administrators to centrally manage and configure user settings, it also allows SMBs to provide mobility and improve collaboration. 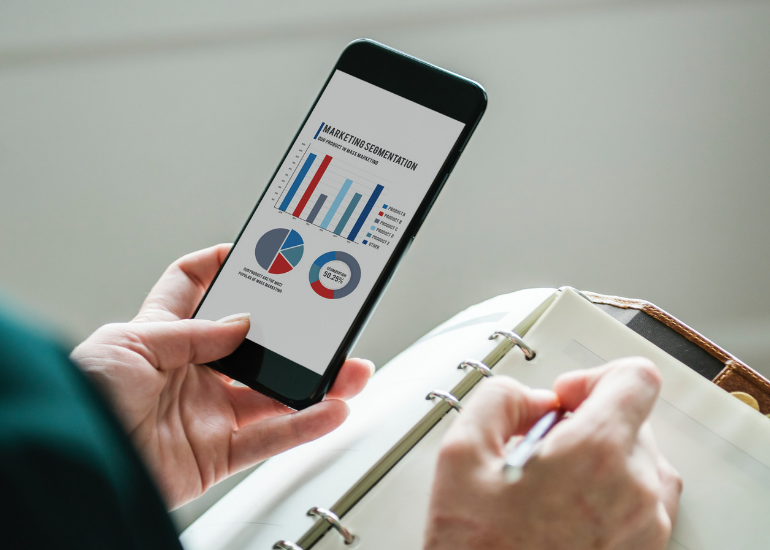 According to Global Unified Communication and Collaboration Market research for 2016-2020, the usage of cloud communication and collaboration tools solutions will grow with 12.3% until 2020. When you switch from a deskphone to a softphone, you gain the flexibility to work remotely while increasing your productivity. There’s little question that your business can benefit by streamlining your team’s communications as it makes teamwork tighter and collaboration stronger. Bria Teams by CounterPath can help your small business become more efficient by unifying your team’s communications. 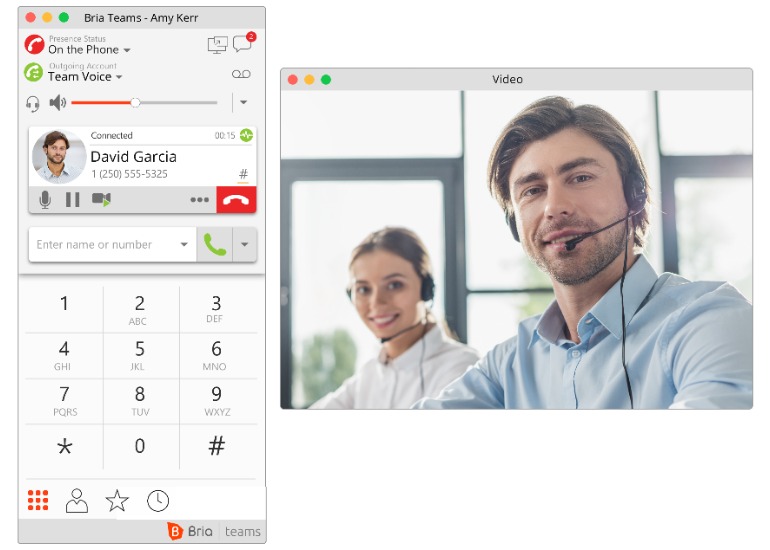 Instead of exhausting resources on a major IT upgrade, Bria Teams provides SMBs a way to digitally transform their communications by overlaying existing calling platforms/PBXs or integrating with VoIP services. It enables all your team members to take their business number with them as their single identity. 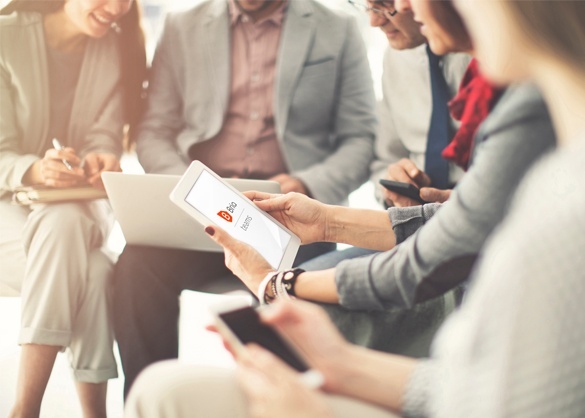 Armed with features like secure team messaging, presence, HD voice and video calling, and screen sharing, your employees can share information and ideas seamlessly across devices and in real-time. 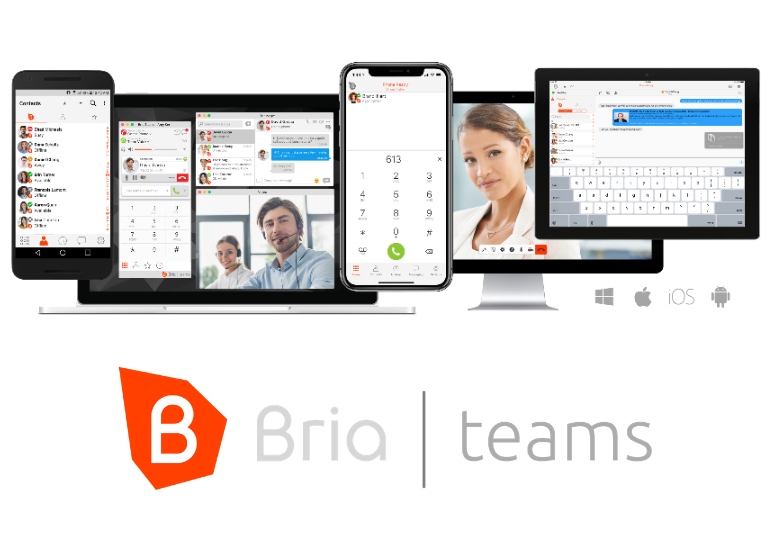 Whether you’re working in the office, at home, or travelling on the road, Bria Teams enables your mobile workforce to maintain accessibility from their work phone line that is synchronized across their devices, thus empowering real-time and multi-channel communications. 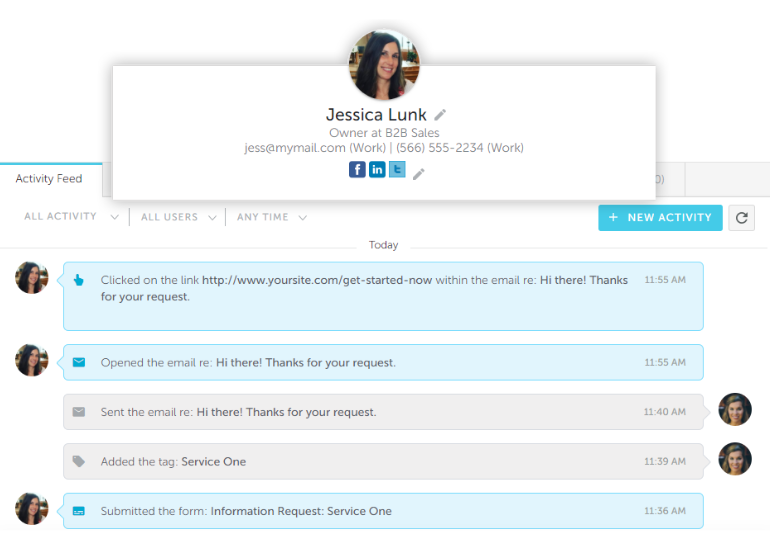 With its easy-to-use admin tools, all you need to get started with Bria Teams is an email address — configure your voice service and invite team members! Even if they are outside of your company or are using a different email address domain. Worried about adding/removing users? The Administrator web portal allows you to easily scale up or down to align with your business needs. You can add, remove and suspend user accounts, as well as see user activity in real time. Setup is easy and subscriptions start as low as 4 dollars per user, per month (see pricing). 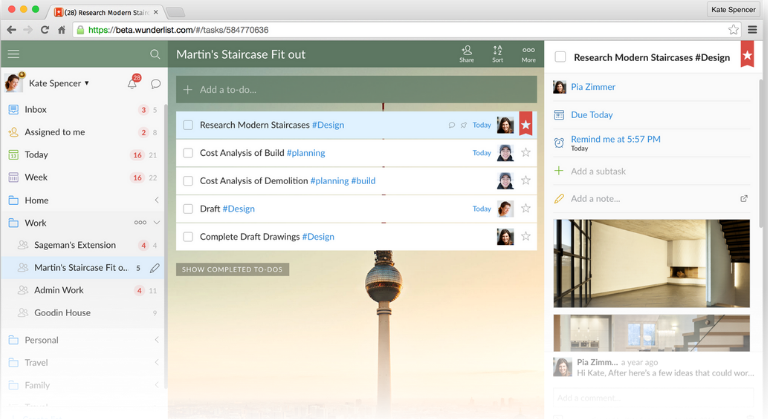 Team collaboration never sounded so easy before, did it? 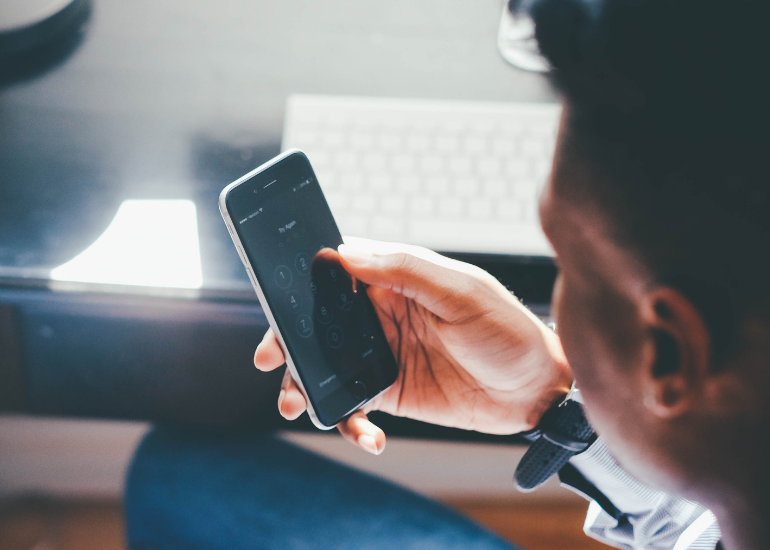 Whether you love it, hate it, or hate to love it, your smartphone has become crucial when it comes to managing a small business. And so are those must-have, latest digital tools to keep your business engine running on all cylinders. Our suggestion for your New Year resolution — load up that phone with the best of business apps and turn it into a toolbox that will power up your business in 2019. We hope that you try one or several of these tools to help you drive greater productivity and efficiency for your business. You can get started with Bria Teams with a free 30-day trial!